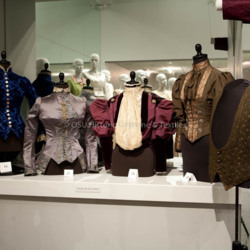 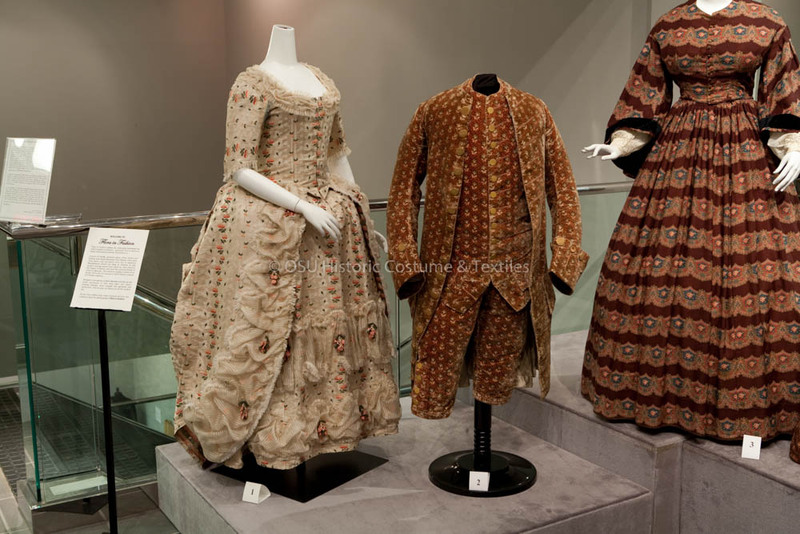 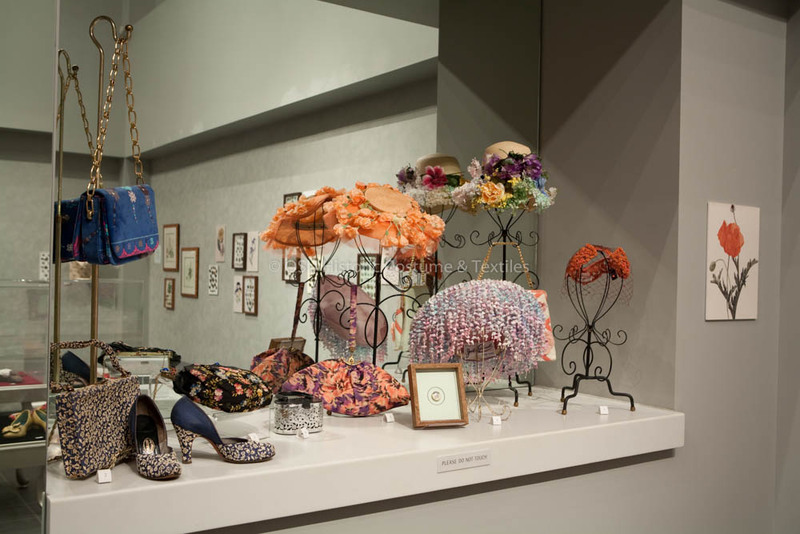 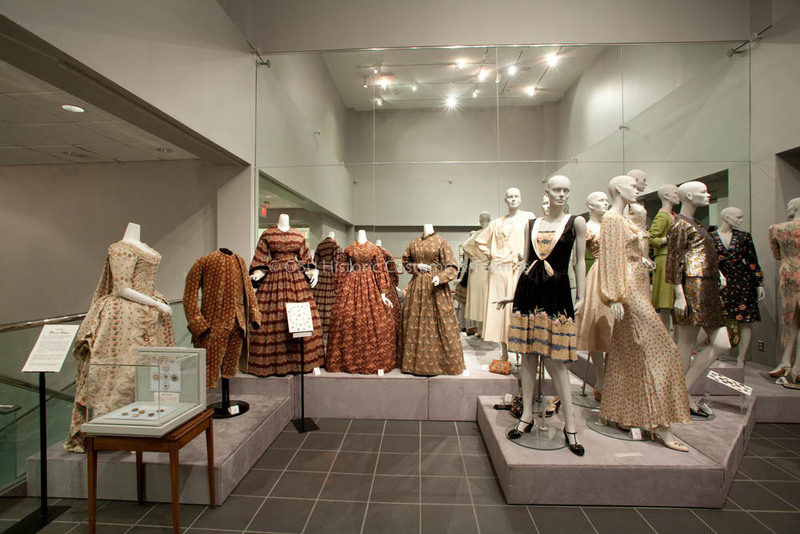 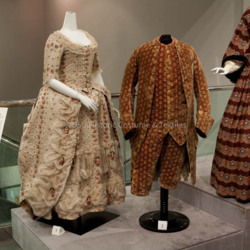 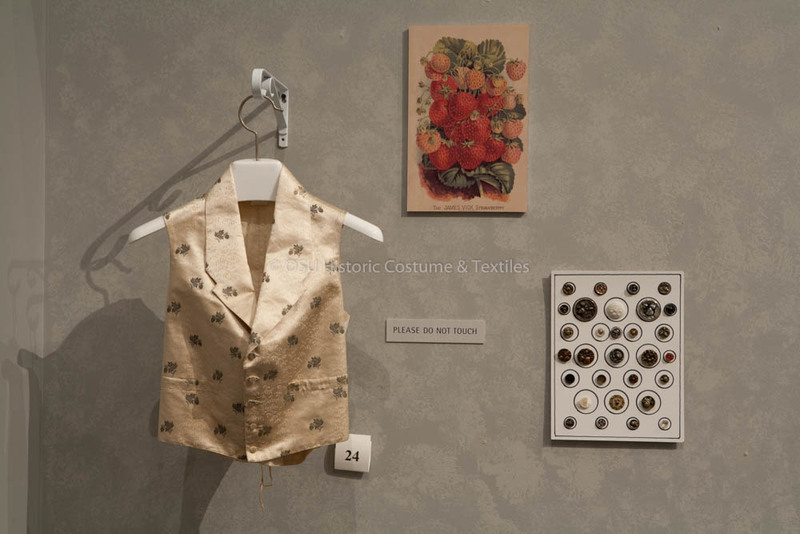 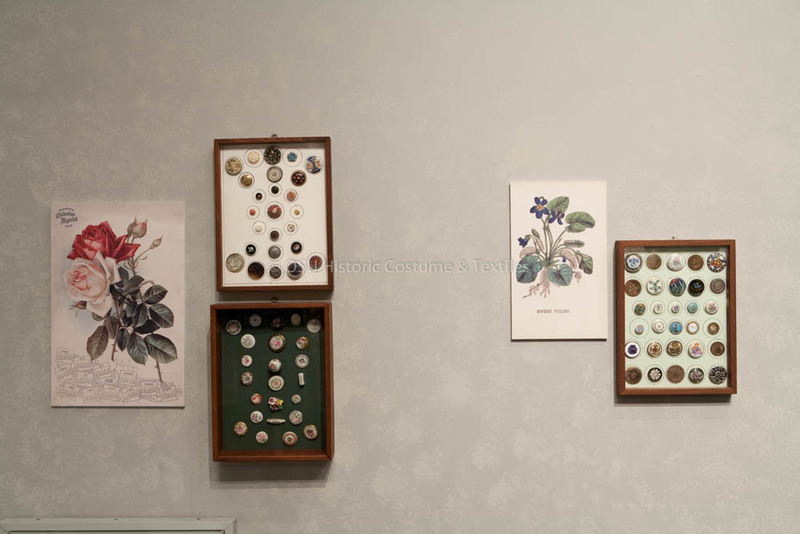 In addition to botanically themed buttons, the exhibition will include the floral aesthetic in clothing and accessories, including 19th and 20th century period fashion with their original buttons, hats, gloves, handbags, and shoes. 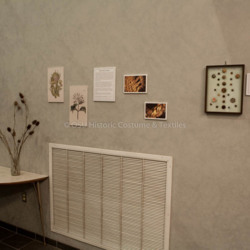 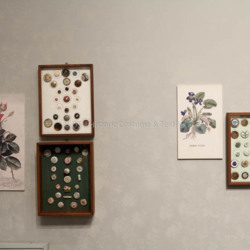 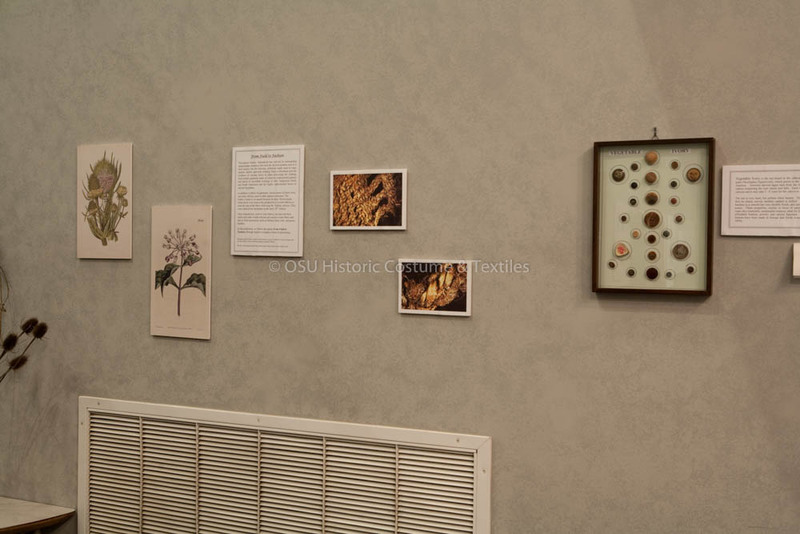 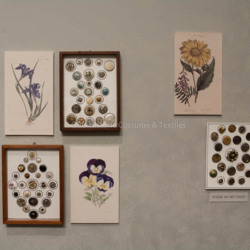 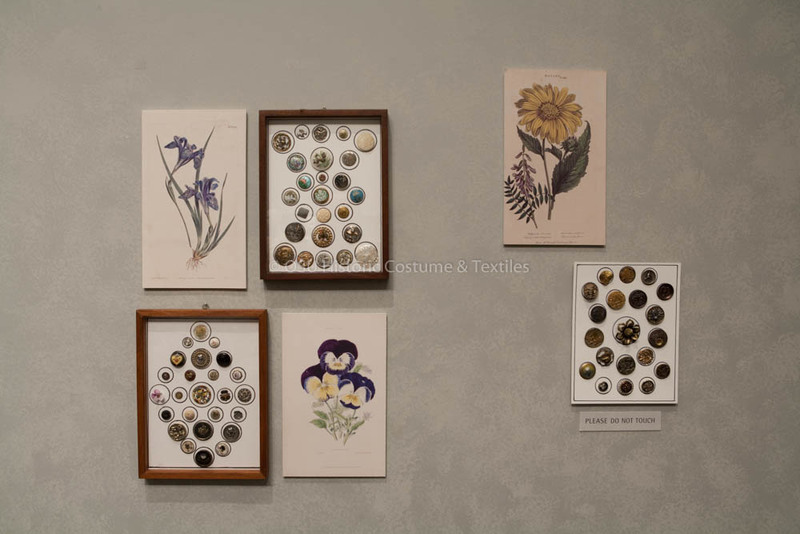 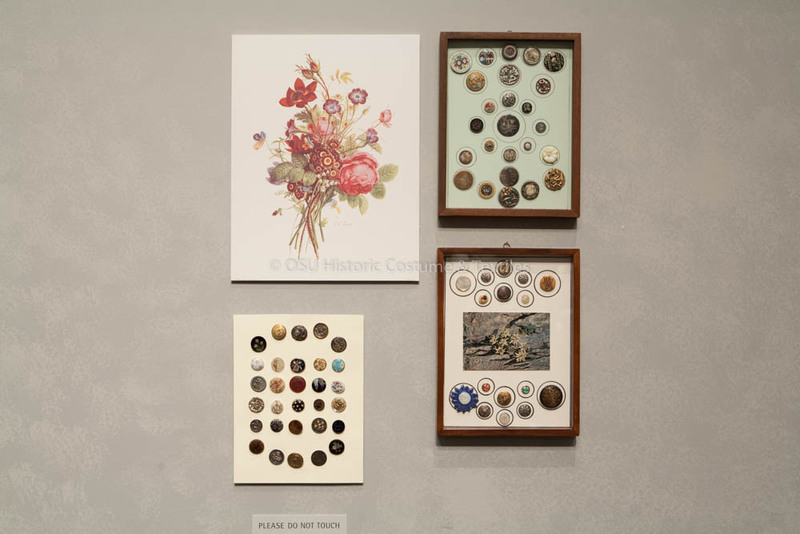 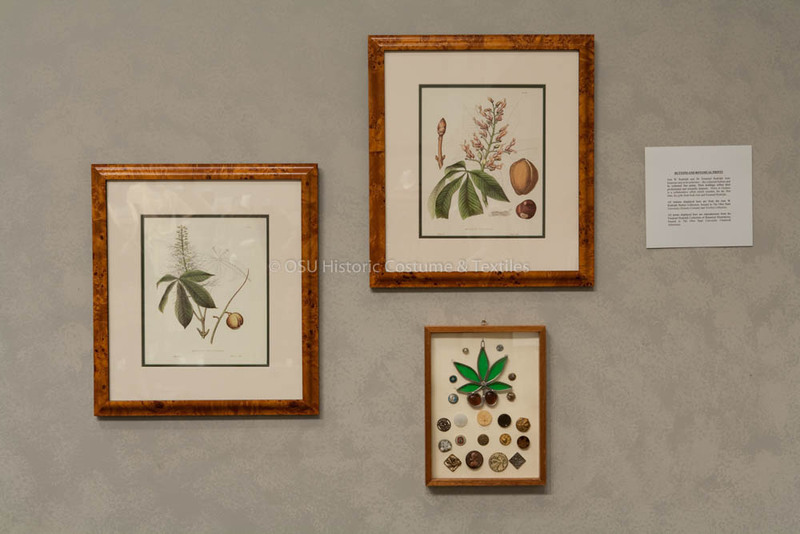 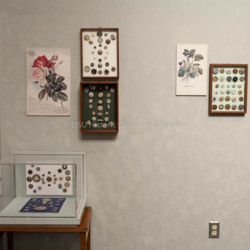 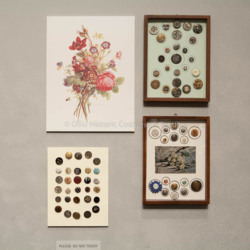 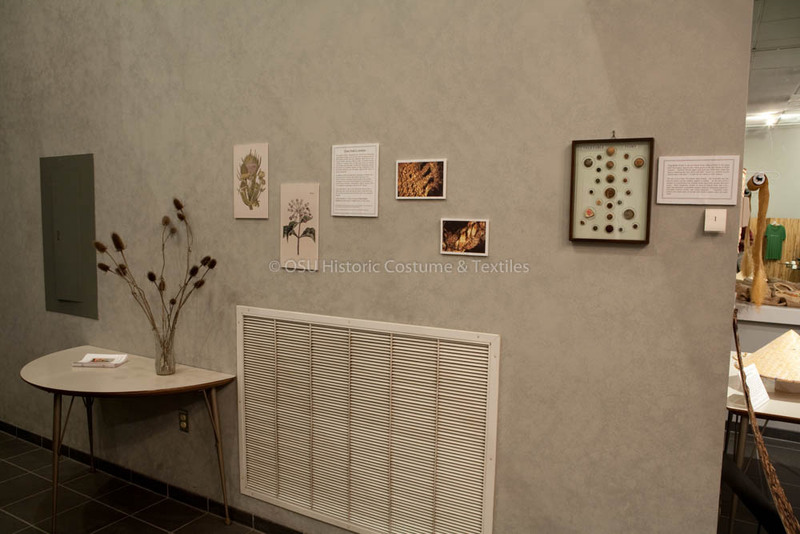 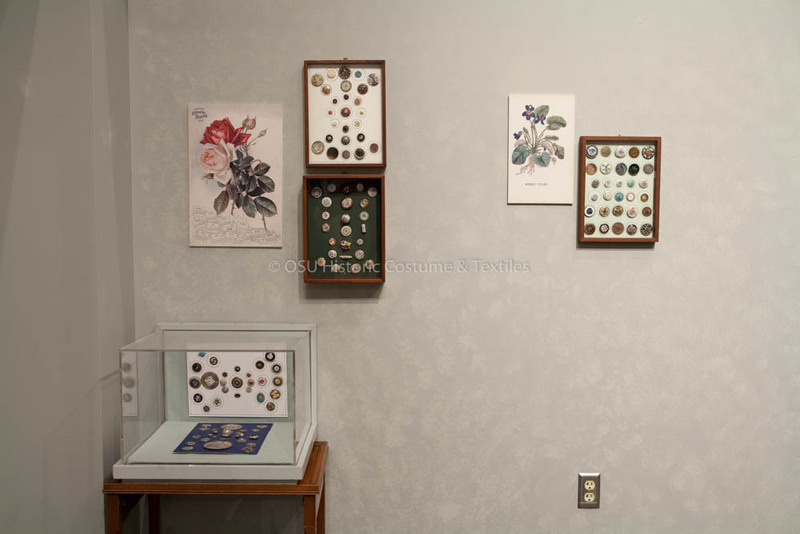 A section featuring prints from the Chadwick Arboretum Emanuel Rudolph Collection of Botanical Illustrations will accompany some of the botanically inspired buttons. 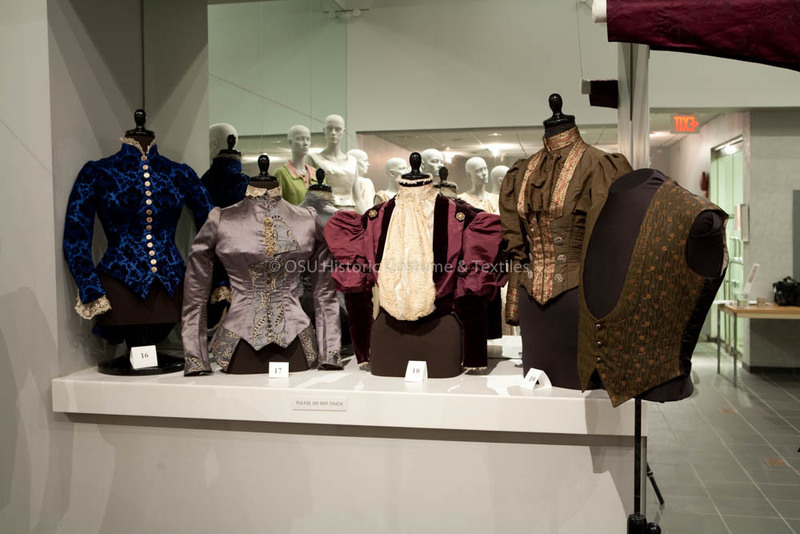 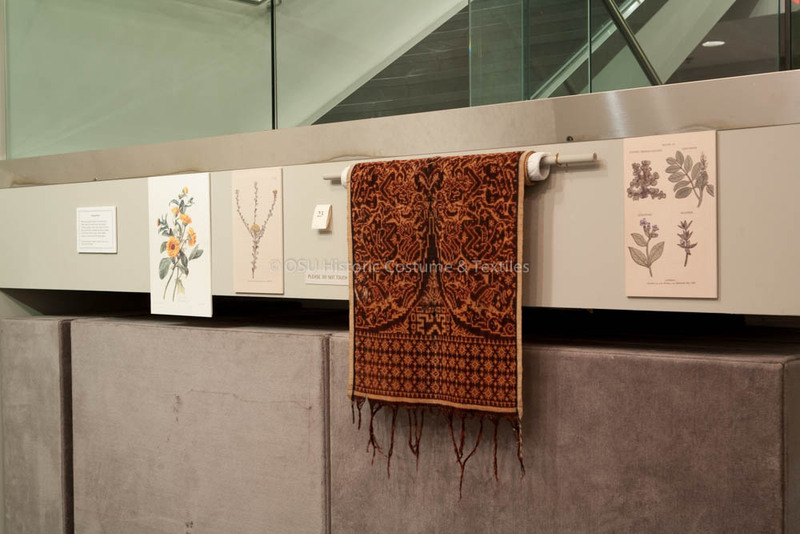 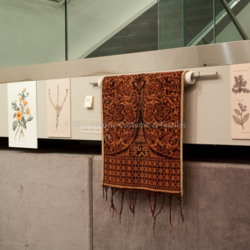 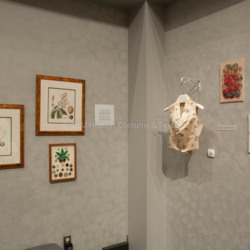 In the lower gallery, we will look at botanically inspired fashion from another angle. 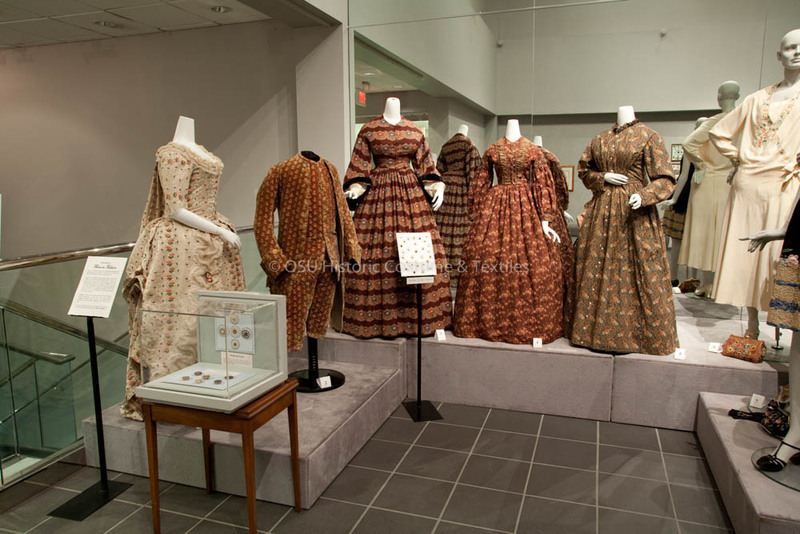 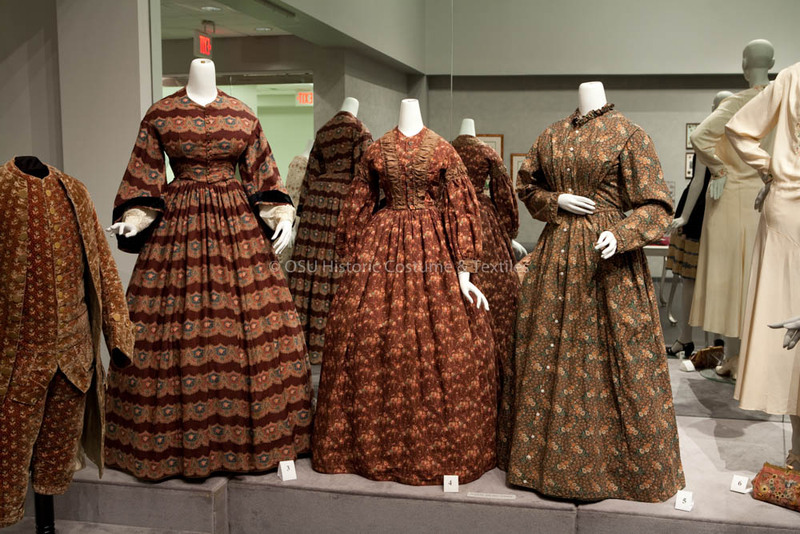 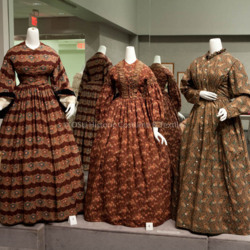 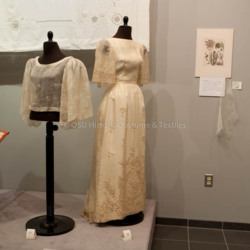 Many clothing and textile artifacts are made from plant fibers, including the more familiar cotton and linen. 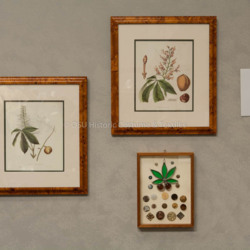 However, there are many more plant species represented in the realm of clothing — some of which may not be that familiar — such as piña (pineapple fiber), bark cloth, and raffia. 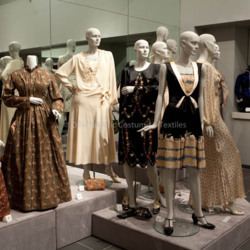 Plant fibers are also processed to produce rayon and acetate as well as the more recent Tencel and bamboo. 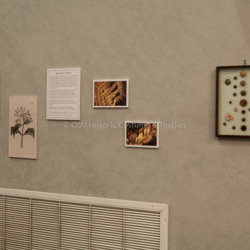 Textile artifacts made from these fibers will be showcased in the lower gallery. 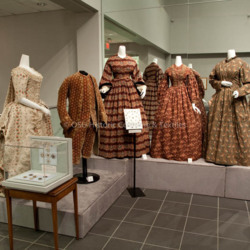 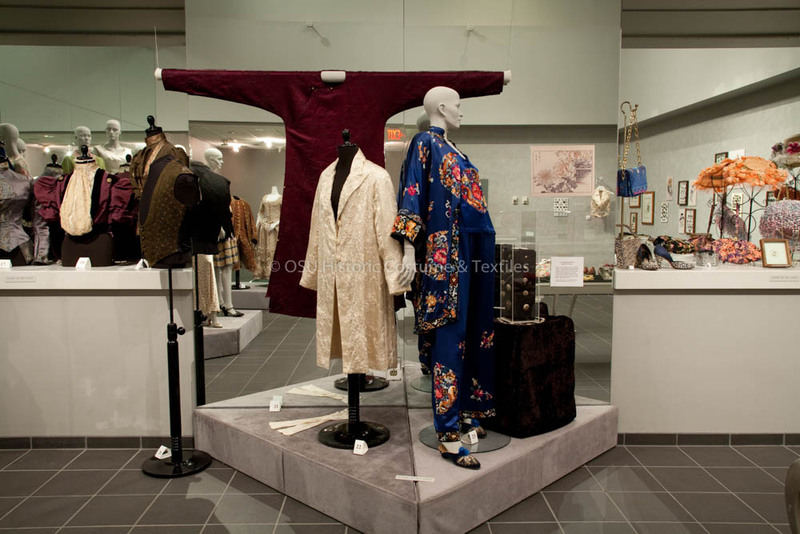 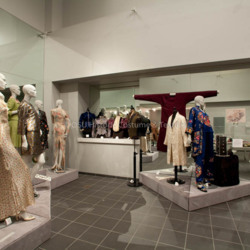 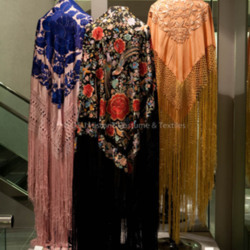 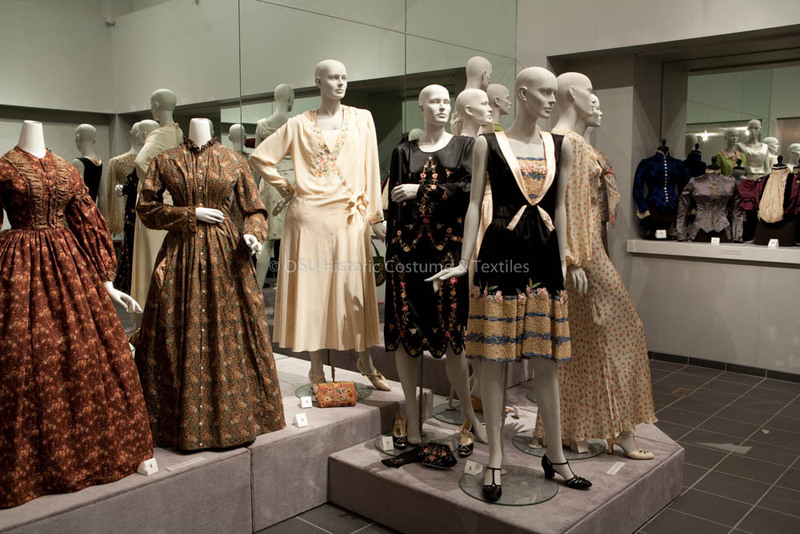 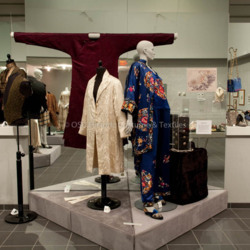 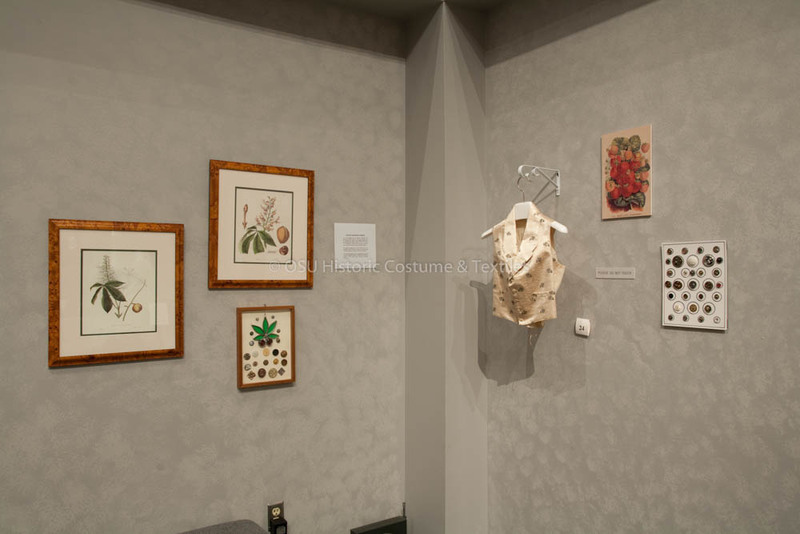 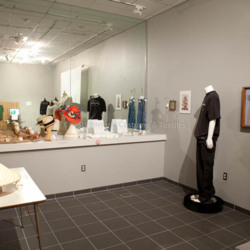 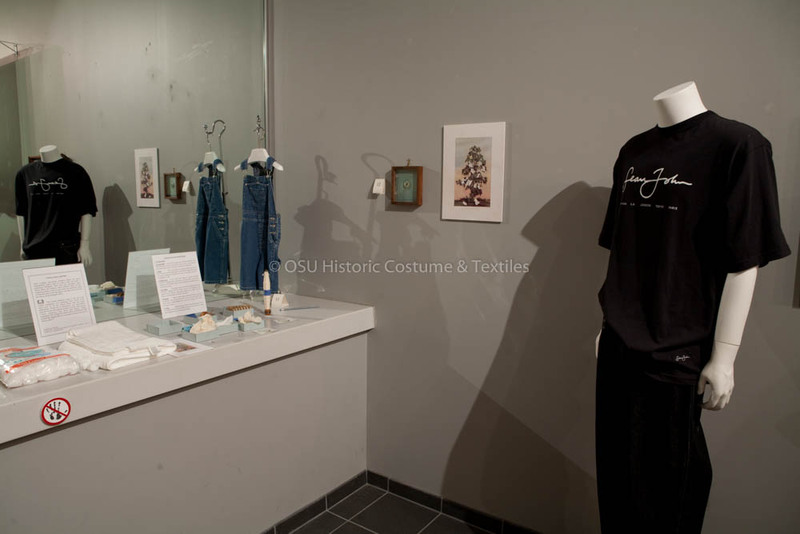 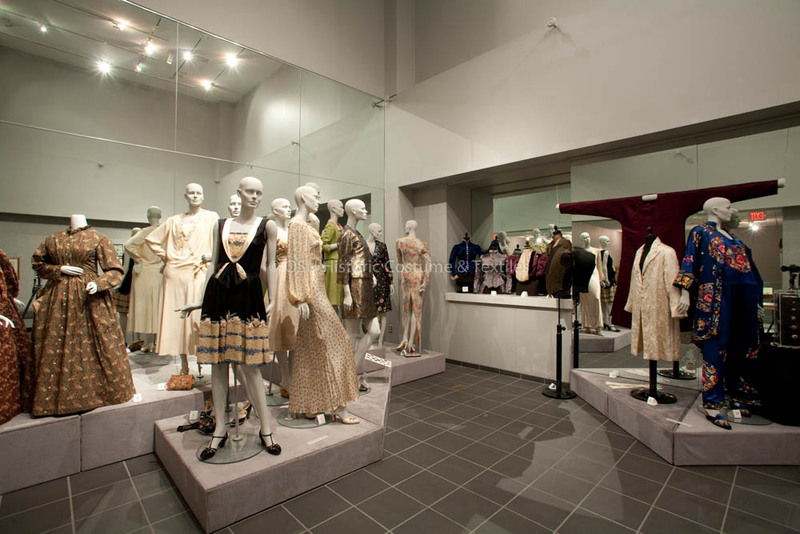 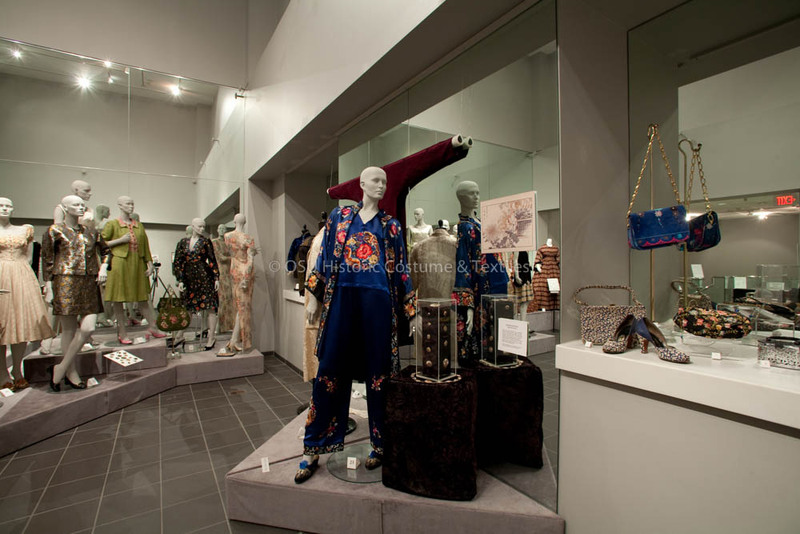 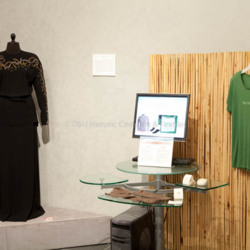 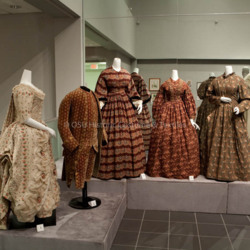 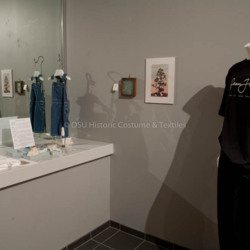 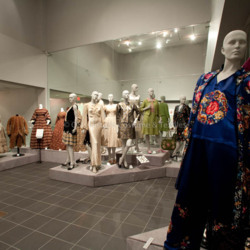 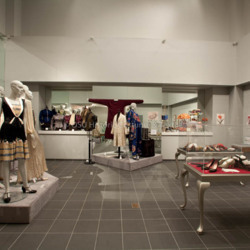 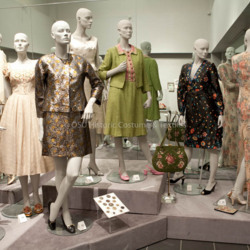 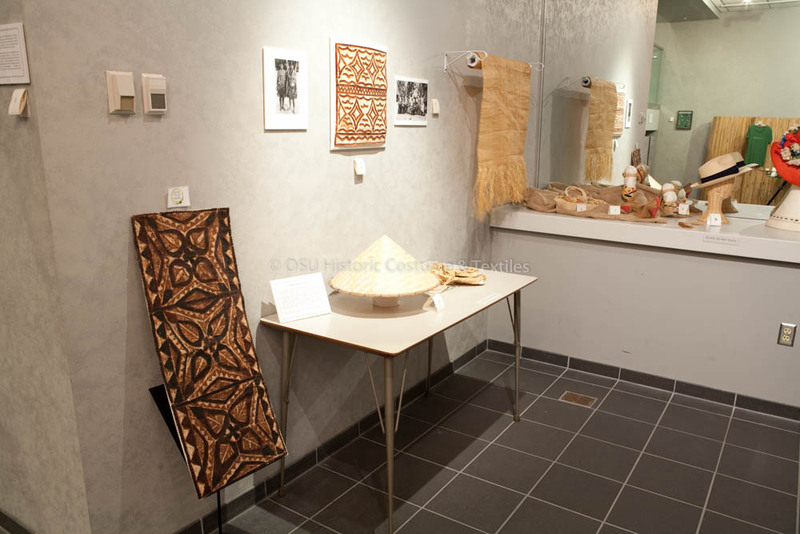 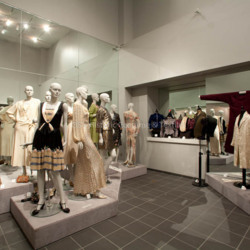 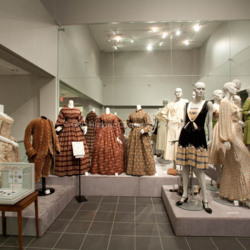 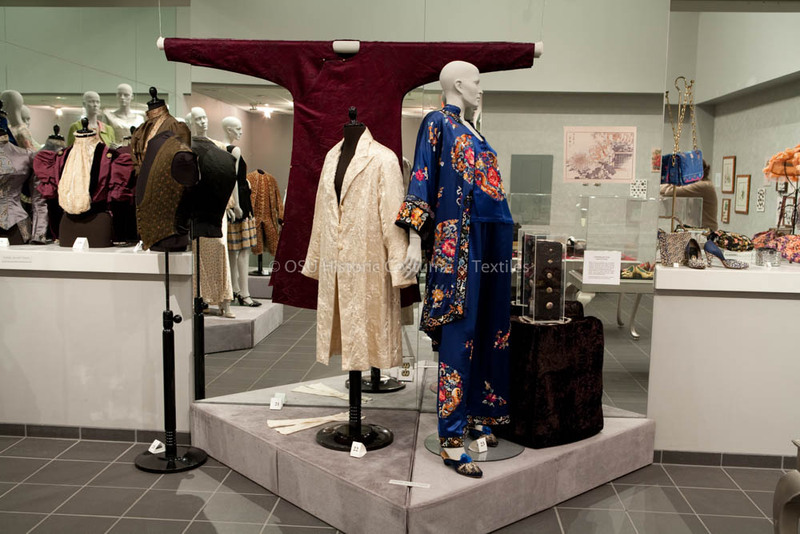 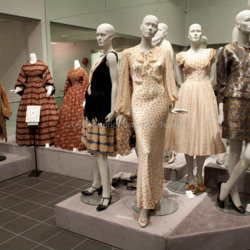 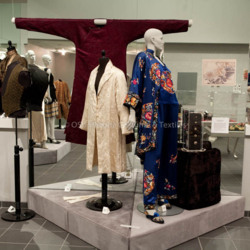 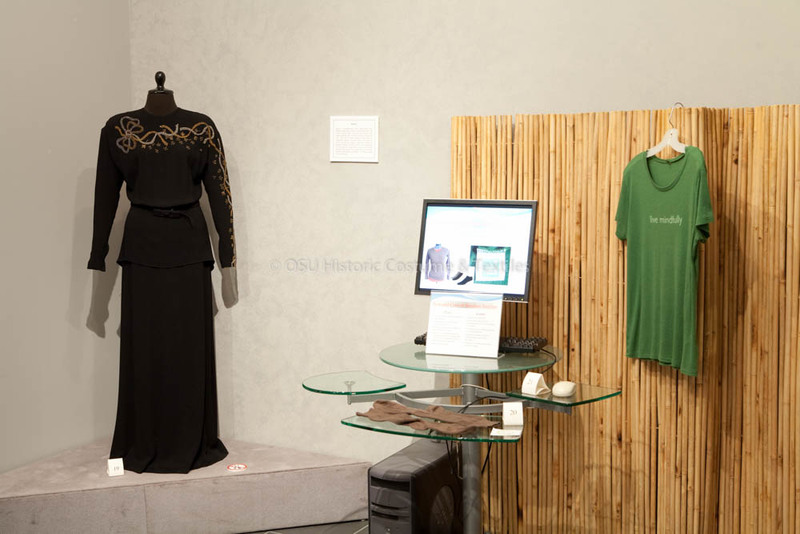 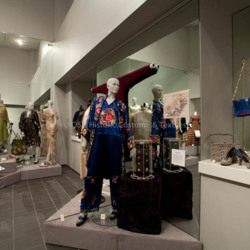 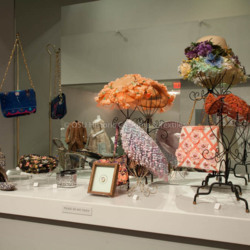 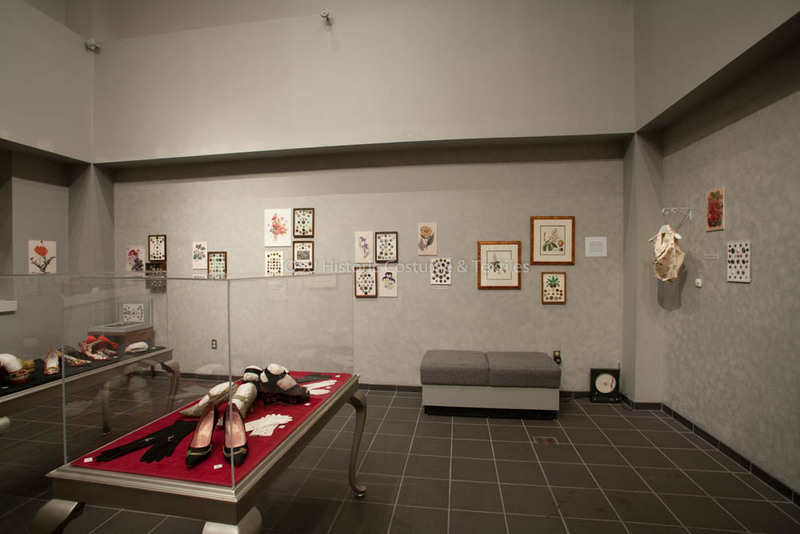 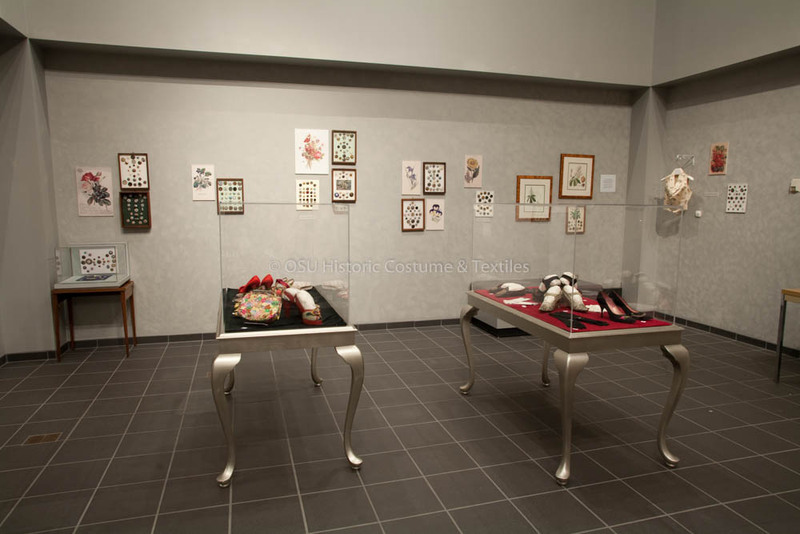 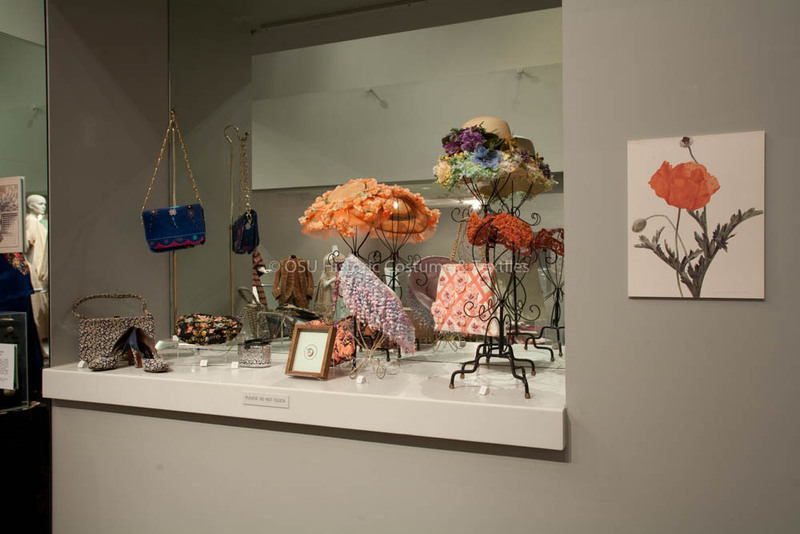 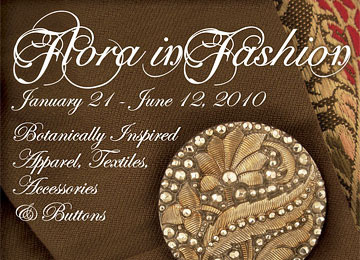 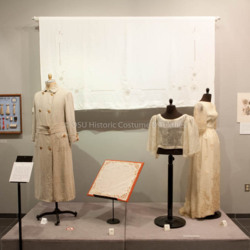 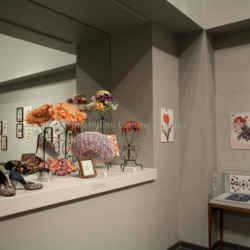 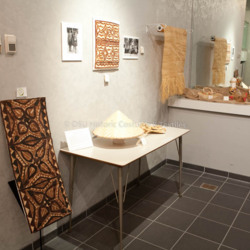 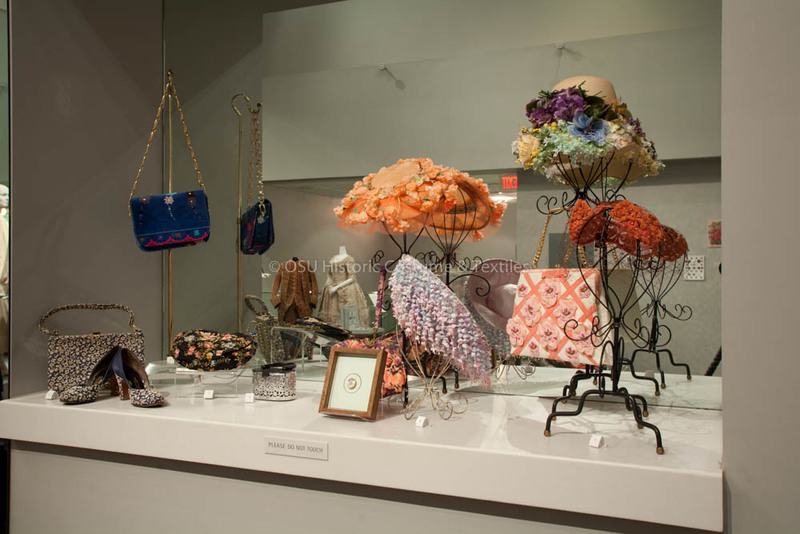 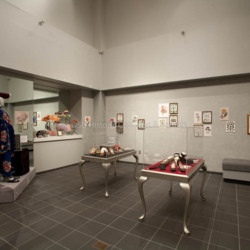 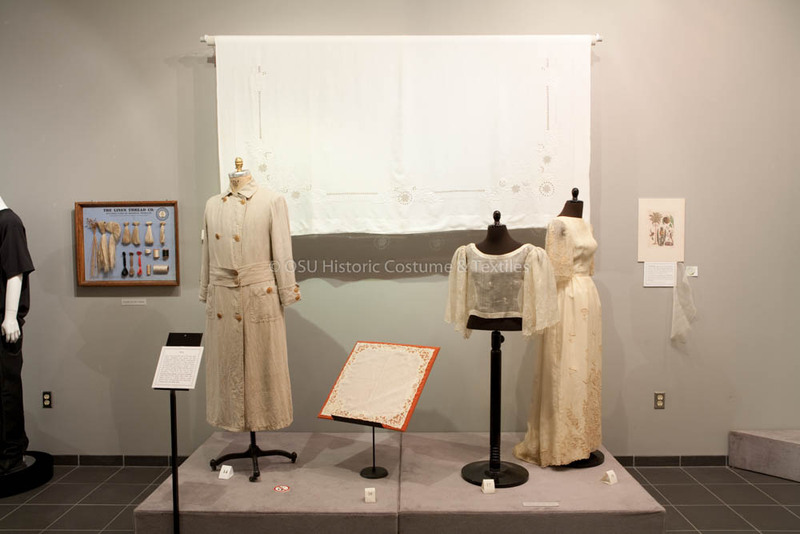 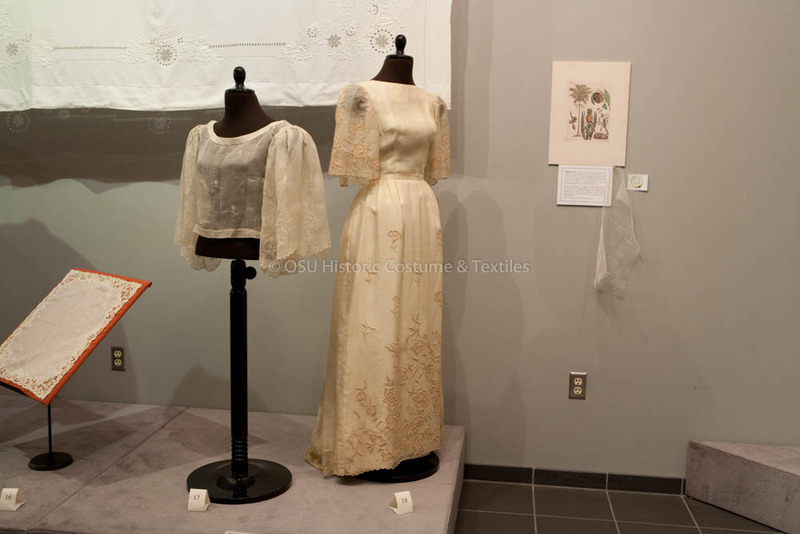 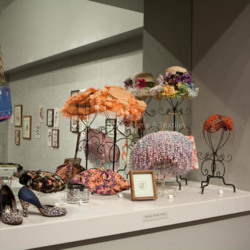 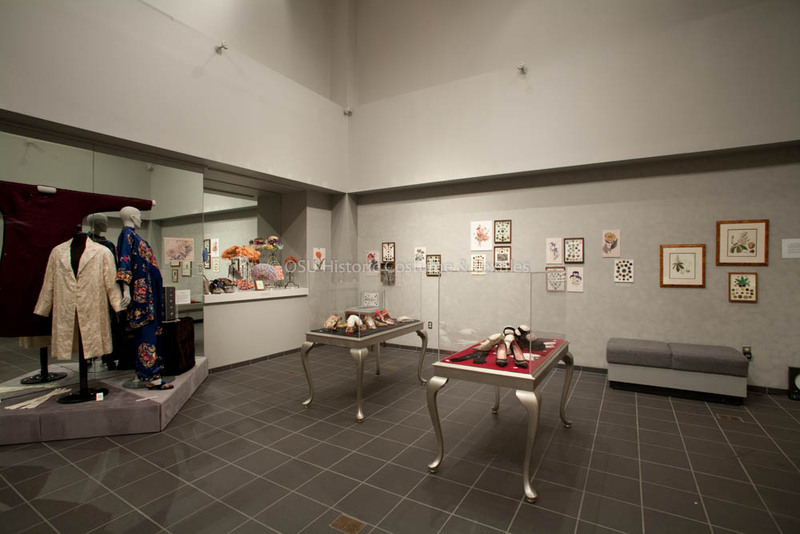 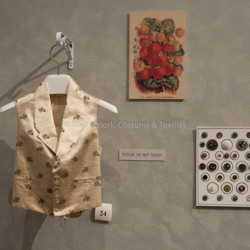 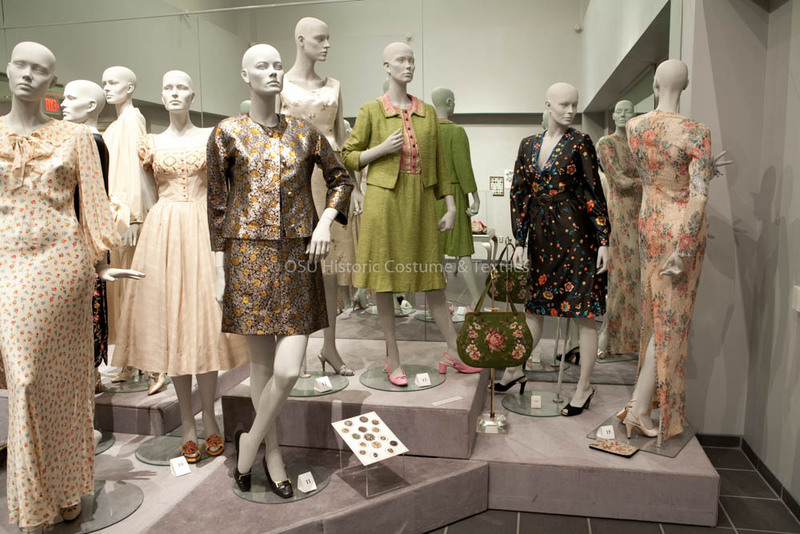 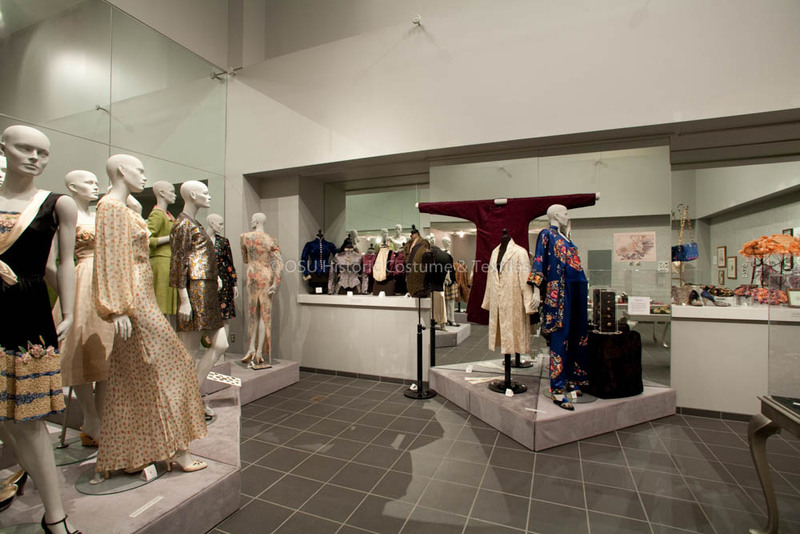 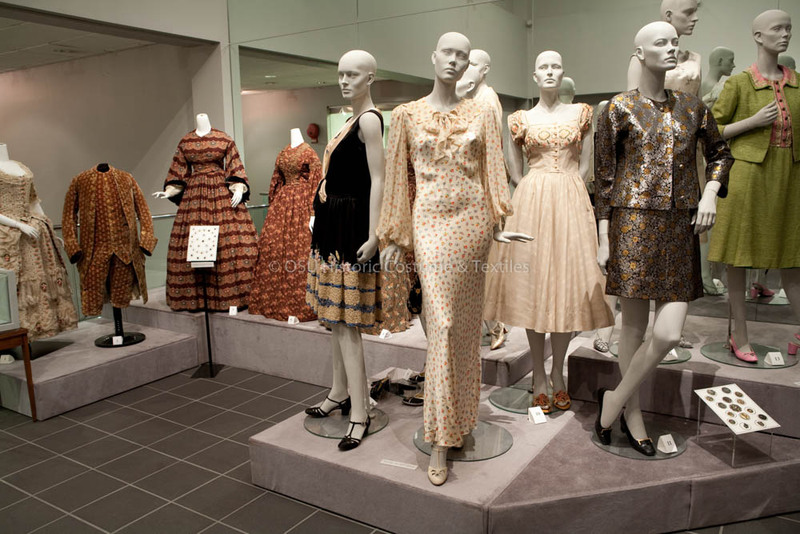 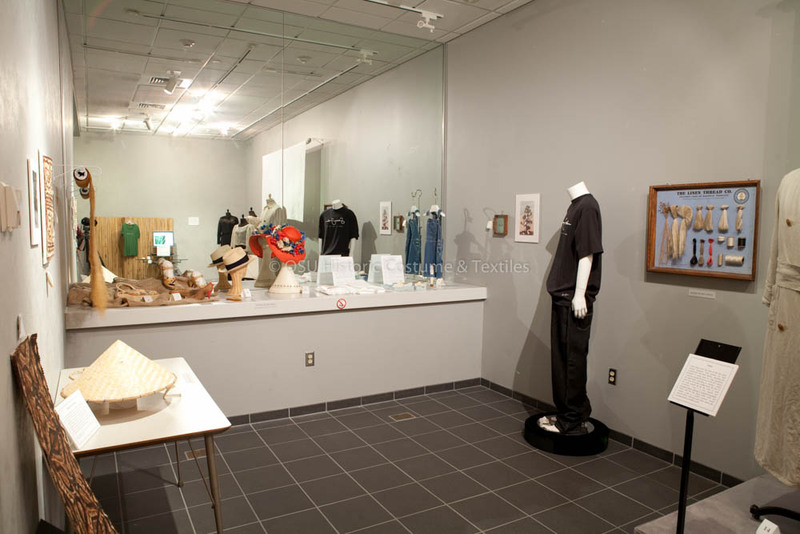 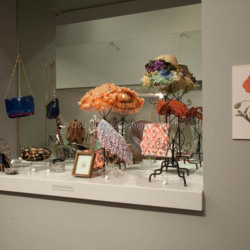 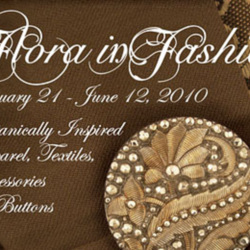 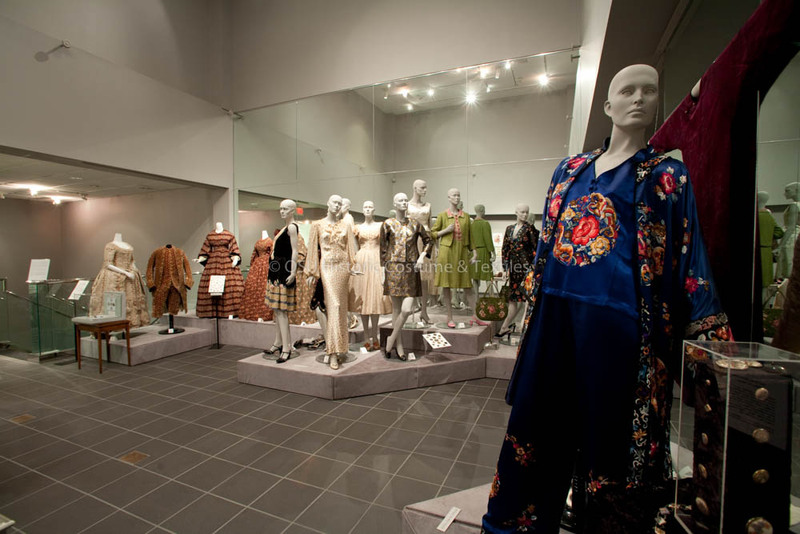 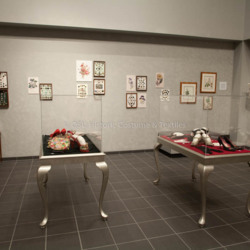 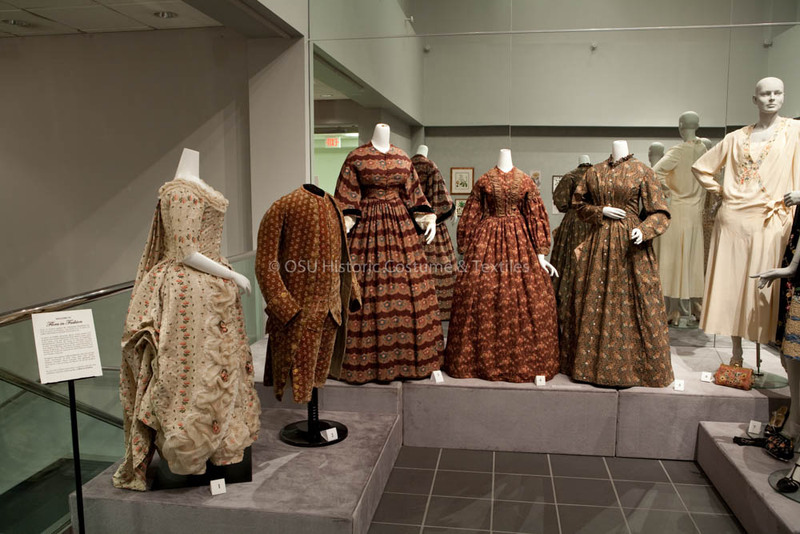 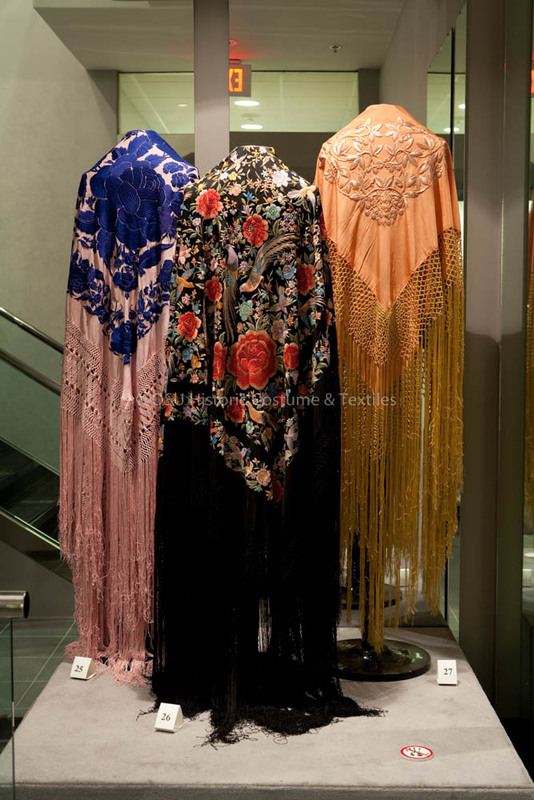 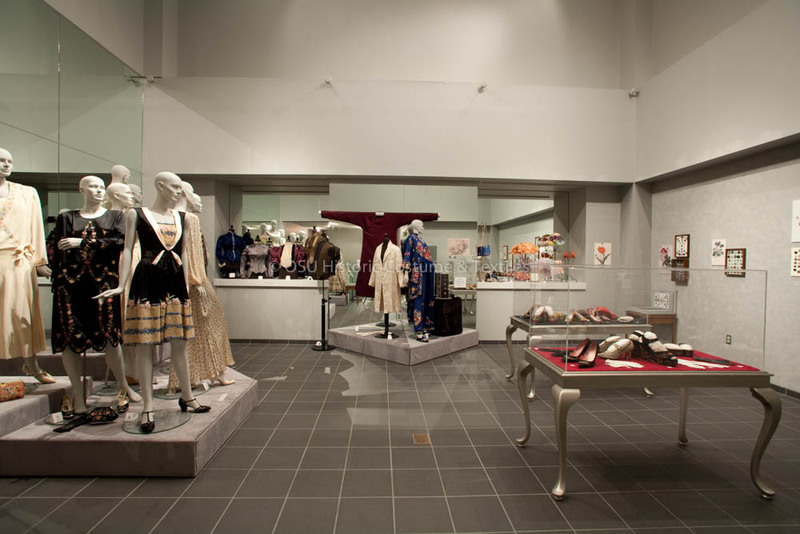 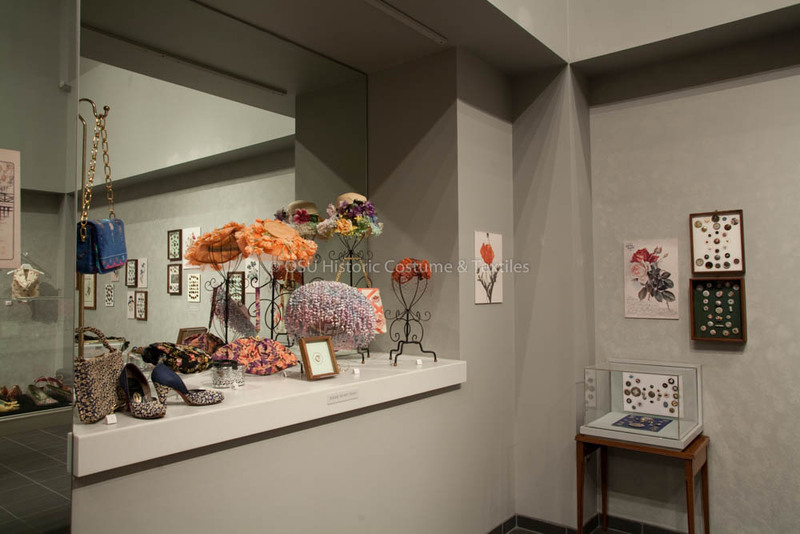 “Flora in Fashion,” Fashion2Fiber, accessed April 24, 2019, http://fashion2fiber.osu.edu/items/show/3065.